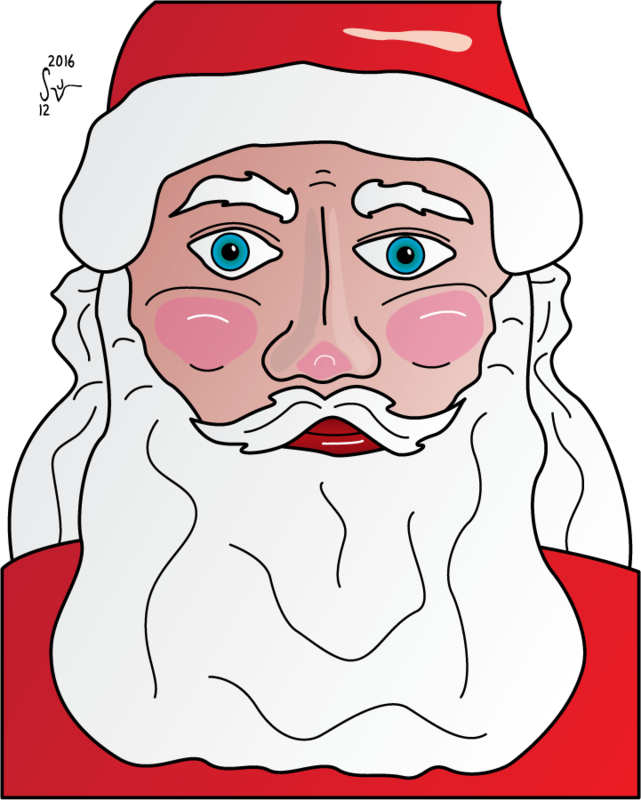 In case I don’t post anything else before the end of the weekend… Merry Christmas and Happy Holidays to everyone! I’m thankful to have all of you following and encouraging my nonsense for a couple of years now, and I wanted to take a moment just to say thank you! 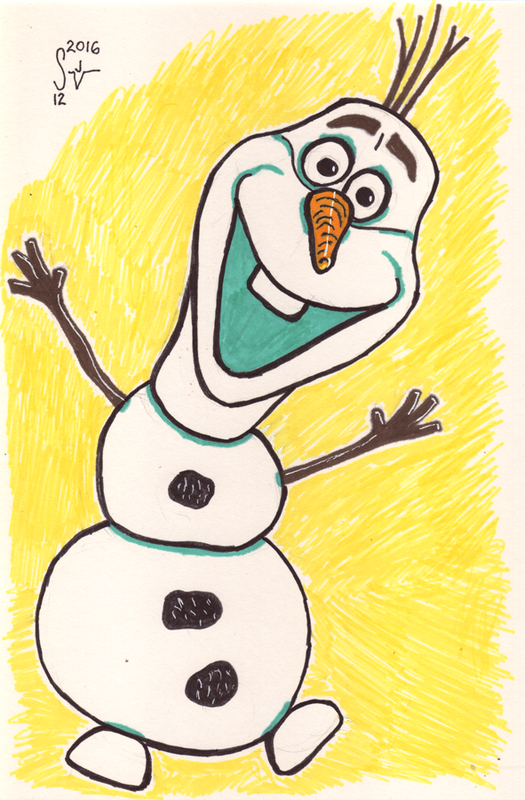 So, I already established that I’ve been watching Disney’s Frozen a LOT this Christmas with my nieces and nephew, which inspired me to draw Olaf recently. While watching a recent new episode of the CBS show, 2 Broke Girls, I suddenly had a warped thought… Oleg… Olaf… and then THIS happened! I like the way this turned out, and I hope it is as funny to everyone else as it was when I thunk it up in my brain. Please let me know what you think and remember, if you’d like an original commission by me or would like to hire me as an Illustrator, please use the Contact page and let me know as much as you can about your request. Typical for my illustration work, I like the cleaner lines and sharper colors in the digital version. I must say, though, that aside from lacking a good match for skin-tone in the hand drawn version… both of these look remarkably similar for a change. Basically it’s a testament to my liking the hand-drawn one enough that I didn’t feel like I needed to make major tweaks or corrections in the digital re-render. 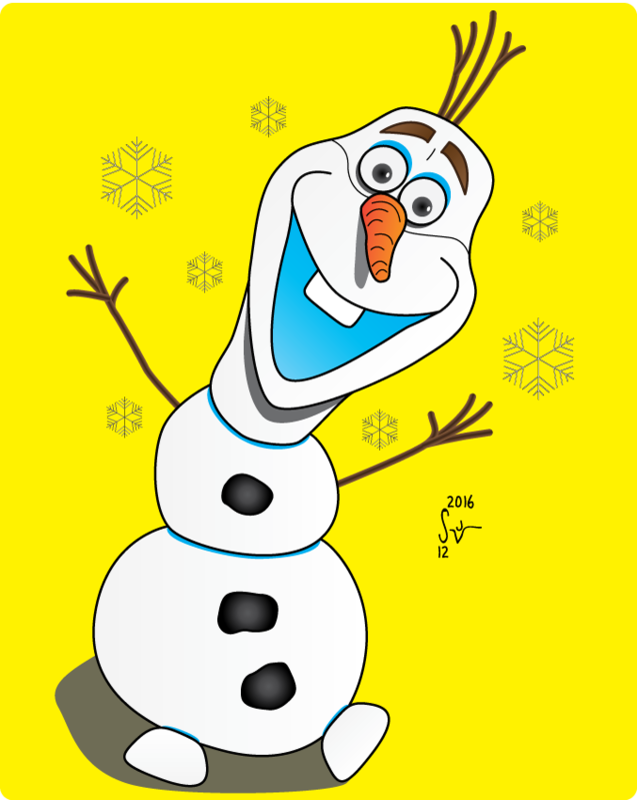 Twice the Olaf for Christmas! The lines are cleaner in the digital version, and the colors are sharper. 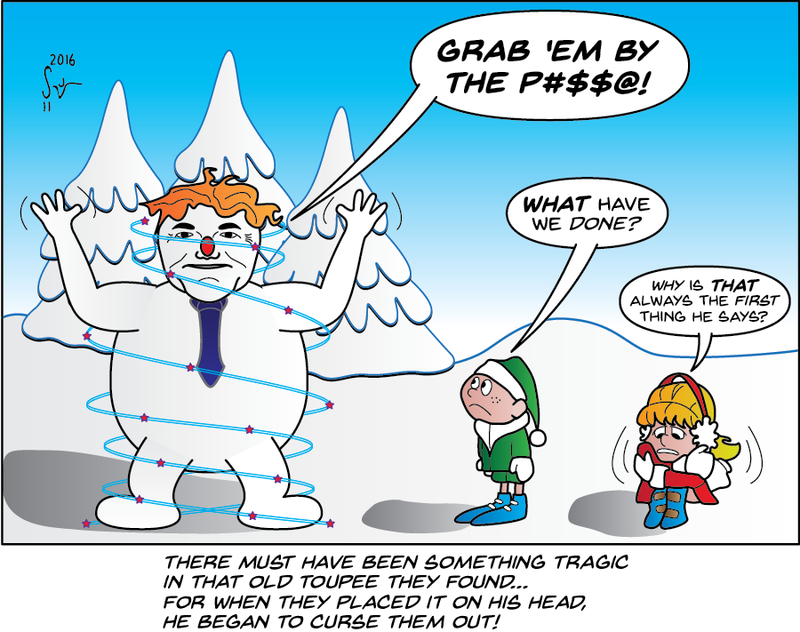 I also was able to more easily add in some shadows and a few snowflakes to complete the image. I personally like the digitally finished one better, but starting with the hand-drawn one allowed me to hopefully carry over most of the organic nature of the character. For people who know me or who have been following the blog for a while… you know my professional background is in Technical Writing and Illustration. I also have been a forum moderator at the DBSTalk Web site for many years now. As part of some recent logo redesign for that Web site I wanted to recreate the previous logo design as closely as I could to have a baseline for comparison purposes. I needed to do this because the original high-resolution source was lost and I did not create that previous design. Long-story short, the previous Web site logo design for DBSTalk used a Dish Network Direct Broadcast Satellite (DBS) dish as a cornerstone around which the rest of the logo was created. 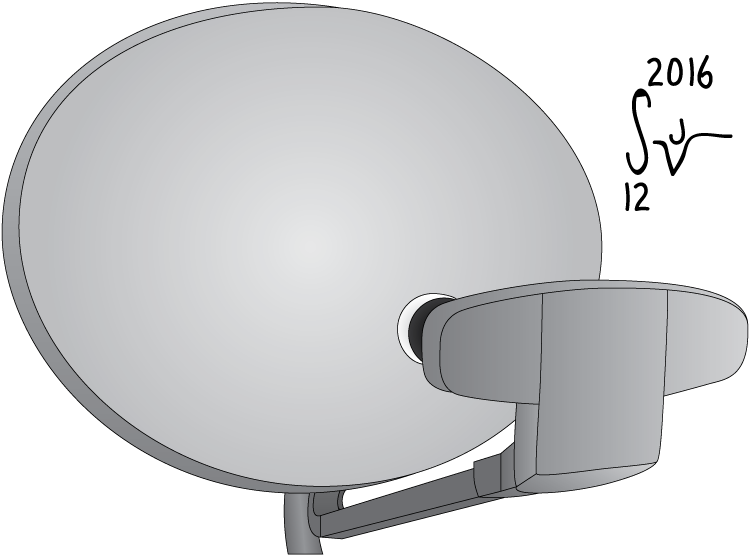 Before working on any actual logo work, I first created this vector illustration of a Dish Network 1000.4 DBS rooftop dish assembly. Please let me know what you think and remember, if you are interested in requesting my services as a Technical Illustrator, please use the Contact page and provide me with as much information as you can about your request. Fairly simple logo recreation work here. Nothing complicated, but there is genius in simplicity sometimes… and now that I have these clean vector renderings I can use them all over the place! 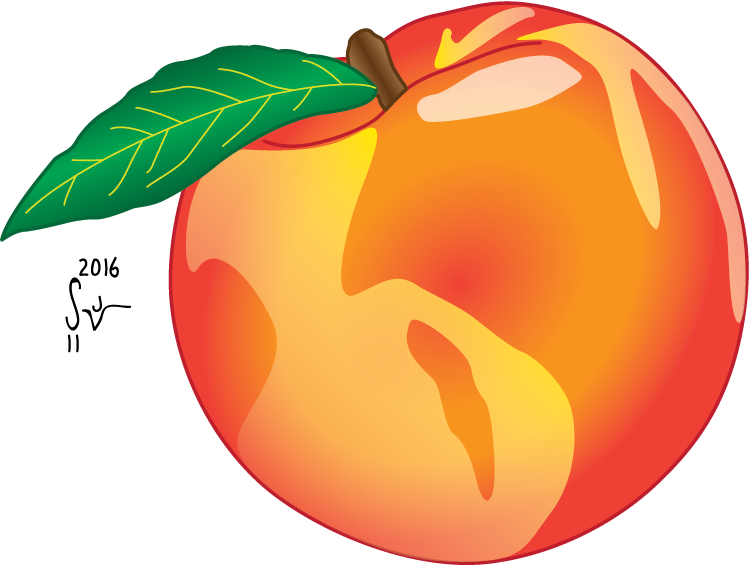 For those who remember the apple I drew back in July… and then used in my ‘Sects comic strip… last month I added a peach and a pear for some really bad puns in my regular comic strip. If you follow the strip, you’ve already seen small versions of these. 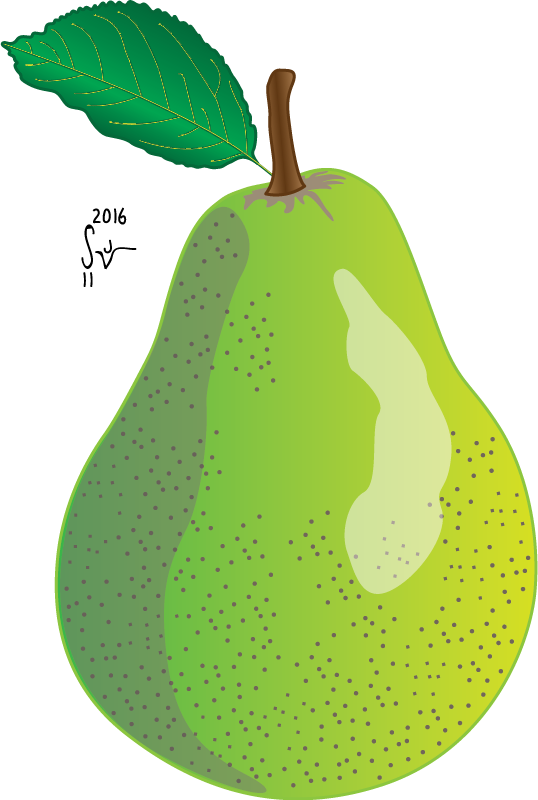 As much as I like the peach… I really feel like I nailed the pear. I like the pear better than my apple I think, and I really liked that apple. The leaf especially on the pear, I’m particularly proud of that. Let me know what you think and, remember, if you’d like an original commission by me or would like to hire me as an Illustrator, please use the Contact page and let me know as much as you can about your request. Peter Capaldi is a proper fan of the show too, having grown up watching it and even famously writing fan letters! With the ever-younger modern casting of the role, he had feared perhaps his time might have passed him by before being cast. Maybe it is his look, but he reminds me a bit of Jon Pertwee (the third Doctor) but if I close my eyes I can almost hear Tom Baker (the fourth Doctor). I guess what I’m saying is that while he is absolutely putting his own acting talents and spin into the role, he is evoking classic Doctor vibes as well, and that is a part of what makes this whole regeneration thing work for the show. This is actually my first color illustration in my portrait series. My earlier illustrations of the first Doctor and the second Doctor were in black and white with shades of grey as a homage to how their episodes were shot and originally aired that way. 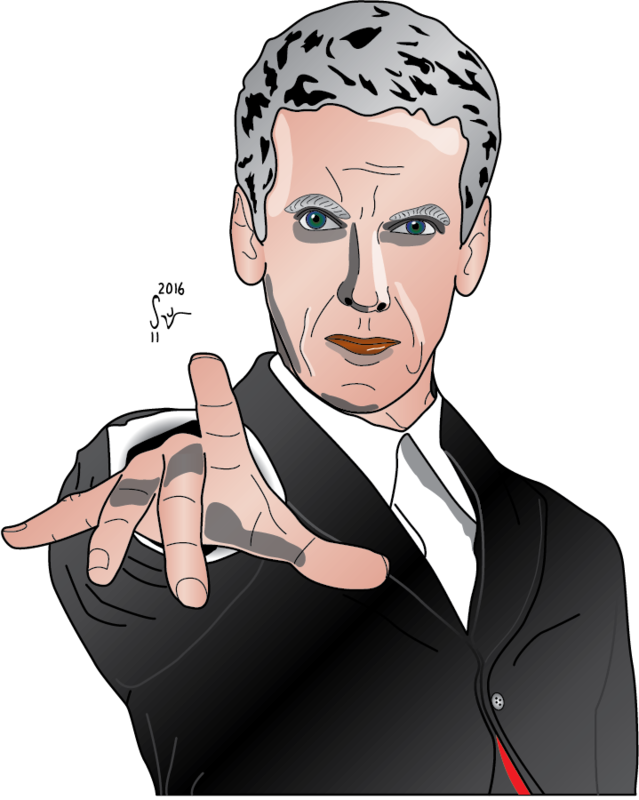 All of the other Doctors have been shot and broadcast in full color, so that’s how they will be drawn by me. Who will be next? Only time will tell! 🙂 Meanwhile, please let me know what you think of this and remember, if you’d like an original commission by me or would like to hire me as an Illustrator, please use the Contact page and let me know as much as you can about your request. 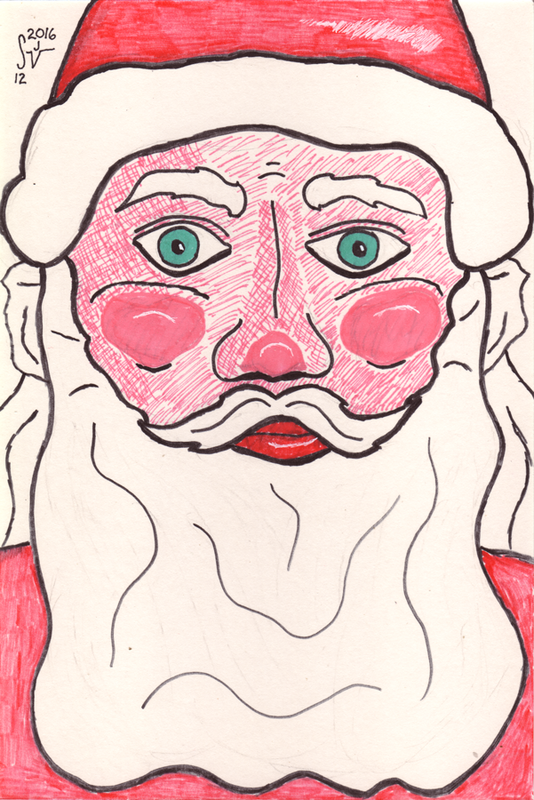 I actually drew this last month, but various rounds of illness have put me behind in some of my intended blogging. One word of caution up front, if you’re not familiar with this woman, please be careful searching online because you’re going to pull up some images of adult situations. April O’Neil is an adult film performer and, yes, she did take her performing name from a love of the Teenage Mutant Ninja Turtles character of that same name. 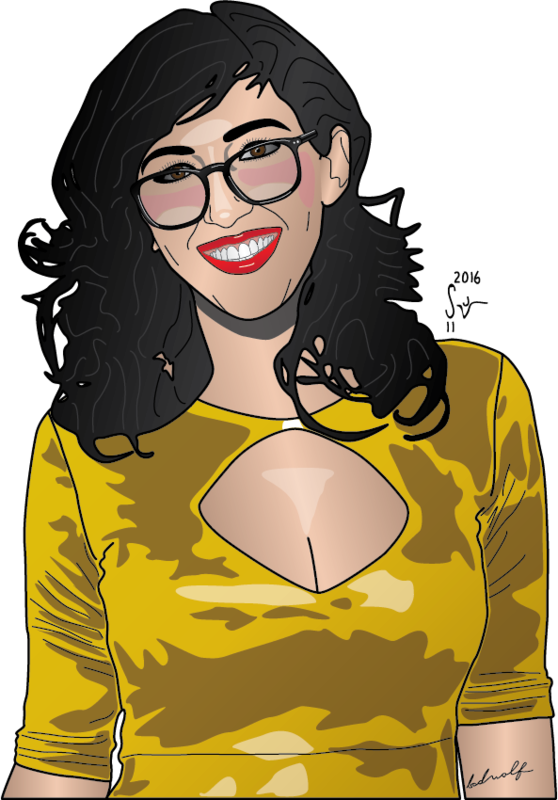 She is also equally well-known for her love of all things geek and you are just as likely to find her cosplaying or geeking out over Doctor Who or Star Trek as you are anything else you might normally want to associate with adult film performers. Take note, for example, of the bad wolf tattoo on her left arm. 🙂 As a result, she challenges your perception of what a person is like based upon their chosen profession. I found a nice image of her from an industry awards appearance, and that served as reference for my illustration here. I liked her look here in general, but especially the glasses. I was not able to completely capture the golden gleam of the dress she was wearing, but I think the overall effect still works here. As an aside, you might be surprised at just how difficult it was to find source images online of an adult film actress in clothing. I realize I’m probably in a weird minority group of people actually executing that search, but still!